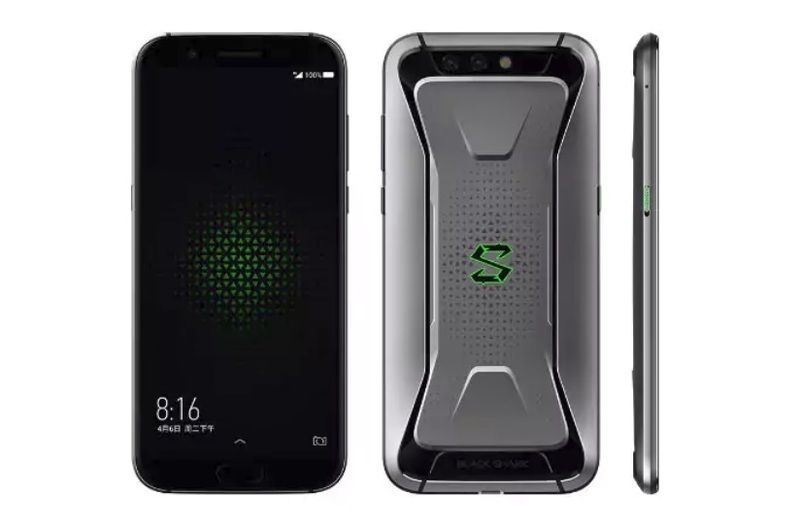 Xiaomi on Friday launched its first Black Shark Gaming Smartphone in China With whopping 8GB RAM, running on Snapdragon 845 SoC out of the box. The Xiaomi Black Shark Gaming Smartphone comes with several high end gaming features including a liquid cooling system that will help keep the CPU cool while heavy gaming on the smartphone. The Xiaomi Black Shark smartphone has been listed on the Xiaomi’s China site as well as its YouPin e-commerce site priced at CNY 2,999 (roughly Rs. 31,100) which is quite cheaper than the price of the Razer gaming smartphone which was launched back in November last year with a price tag of $699 (Roughly Rs. 45,160), but it packs Snapdragon 835 but not the latest 845 SoC like the Xiaomi Black Shark smartphone. At the announcement, Xiaomi also launched a controller dock for the Black Shark gaming smartphone, that also comes with a joystick and a trigger button, and can be connected to the handset. This controller has been priced at CNY 179 (roughly Rs. 1,900). The smartphone will go on sale starting April 20.